I discovered Nicole Brossard through the book ‘One Hundred Great French Books’ by Lance Donaldson-Evans. Brossard’s ‘Baroque at Dawn’ was one of the books featured there. I found the description of the book interesting. Unfortunately, the English translation of the book was out of print and used copies were difficult to come by. So I did some research on other books by Nicole Brossard. I liked the plot outline of ‘Yesterday, at the Hotel Clarendon’. I got a used copy and finished reading it yesterday. Here is what I think. Before I tell you what I think about the book, a few words on the author and the edition of the book I read. The first passage below is going to be a long rant. Pardon me for that. Nicole Brossard is French Canadian. When one thinks about Canadian literature and Canadian writers, the name which comes to the top of one’s mind is Margaret Atwood. And then probably L.M.Montgomery, Alice Munro, and Carol Shields. And maybe Michael Ondaatje and Rohinton Mistry. I also think about the Spalding mother-daughter duo, Linda and Esta, David Gilmour and Miriam Towes. (This list of names says more about my own ignorance of Canadian literature than anything else. Canadian literature is alive and kicking, rich and thriving. Me on the other hand – I need to read more and learn more.) Of course, the one thing common between all these writers is that they write in English. And so one normally assumes that Canadian writers write in English. One conveniently forgets that Canada has one province – Quebec – where the first language is French. Or atleast I do. When I discovered that Nicole Brossard was French Canadian and she wrote in French, I was quite excited. I have never heard of a French Canadian writer before, leave alone read one. So I was looking forward to reading one of her books very much. While pondering on Nicole Brossard’s background, I also wondered about something. I wondered what kind of literary prizes a French Canadian author can aspire to and win. Eventhough Canada is part of the Commonwealth, a French Canadian author is not eligible for prizes like the Booker, the John Llewellyn Rhys prize, the James Tait Black memorial prize and other similar prizes because her / his books will be in French. Someone like Nicole Brossard won’t be eligible for the Orange prize because that is given only to women writers writing in English, irrespective of their nationality. I wondered whether a French Canadian writer would be eligible for the Prix Goncourt, the Prix Femina, the Prix Medicis, the Prix Renaudot and the like. I suspect all these prizes are awarded only to French citizens. This made me think of a larger issue – that a writer, who produces great works of literature, might not be known outside her immediate environment because she is not eligible for many of these international literary prizes. It is a real shame, isn’t it? Nicole Brossard has been writing for nearly fifty years (yeah, that is right! It is forty eight years to be precise – she published her first book in 1965), and I don’t know anyone who has read her books. And most of her books are not easily available in English. Which is a shame because she writes quite beautifully (more on this later). She deserves a wider readership. Now on the edition of the book that I read. It is an English translation made in 2005. (The original French book came out in 2001). It is a beautifully produced edition. The paper is thick with horizontal stripes (it can be seen only when you notice it carefully – do you know what this kind of paper is called?). The fragrance of the paper is like that of a new book. The used copy I read came from a library which had given it away. Why would a library give it away? Did no one want to read the book? (The book looks practically unread). The good news though is that if the library hadn’t given it away I wouldn’t have been able to get the book. So that was good for me. Atleast one good thing came out of it. Now on the actual book. ‘Yesterday, at the Hotel Clarendon’ is made up of six parts. The first part which runs for nearly half of the book follows the lives of four different women. One of them is an unnamed narrator who works in a museum. She talks about her life and about her feelings for her mother whom she lost sometime back. The narrator also talks about a writer she meets regularly at the bar called Carla Carlson. Carla always comes to Quebec city (where the story is set) to finish the current novel she is working on. The narrator and Carla have long conversations at the bar while they discuss about their lives – the narrator talks about her mother and about her work while Carla talks about her father and about her novel. The other two characters whose lives the book follows are Simone and Axelle. Simone is the director of the museum in which the narrator works while Axelle is Simone’s grand daughter. Simone’s daughter Lorraine leaves her home and city many years back when Axelle was a child and so Simone and Axelle haven’t met for many years. Both of them somehow get in touch and plan to meet at a restaurant for dinner. The second part of the book goes for around ten ages in which Simone is walking around in her museum admiring different art objects when she receives shocking news. The third part is structured as a play and is set in a bar where the four characters meet, two of them – the narrator and Carla – by design and the other two by coincidence. The fourth part takes the story to Carla’s room and the story continues as a play and reaches its conclusion. The fifth part contains ‘Chapter Five’ of the book that Carla is working on. The sixth part has notes which are found in the room at the Hotel Clarendon. There is an appendix after that which has the English translation of a Latin scene in the fourth part of the book and a list of books that Carla mentions in that part. When we look at the plot, the story told in ‘Yesterday, at the Hotel Clarendon’ seems simple enough. There are four women whose lives the book tracks and whose lives come together in some interesting way. Maybe there are a few surprises in the end. (I am especially intrigued by the identity of the narrator.). Though this is an important part of the book, this is not the whole book. The book is also about a few other things. Interesting things. The book is almost Joycean in its experimental structure. In one of the initial chapters, the unnamed narrator talks about James Joyce and how he refused to use quotation marks in dialogues. Then in one of the next chapters we see a dialogue where there are no quotation marks. This is the beginning of the Joycean game. Later in the book, something interesting happens. Though the narrative is linear, in the third and fourth parts the story is structured as a play – clearly inspired by Joyce. Towards the end of the fourth part, the four characters of the story get transformed into four characters in the novel that Carla is writing which is based on the life of the French philosopher Descartes. And that scene is enacted in Latin. When that scene gets over, the four characters get back to their normal selves. But one of the characters, Carla the novelist, speaks in two voices – as herself and as the Cardinal in the novel on Descartes. The fifth part which is ‘Chapter Five’ of Carla’s novel, doesn’t read like Carla’s novel at all. It reads like a piece written by the narrator because of what it says and some of the clues that the author gives. When I read again this passage from the early part of the book (told by the narrator), after finishing ‘Chapter Five’ I saw things in a totally different light. Our every encounter disturbs the meaning of Carla’s novel. Refreshing it without her awareness. Even here in the bar at the Clarendon, in what Carla calls the mystery of a city that gives insight into the continent, her novel rips us out of history, out of the quiet temporality of bell towers and convents. I liked the inventiveness that Nicole Brossard cunningly employs in the book but this inventiveness hit me only after I finished reading the book and started to think about it. The thing which I totally loved while reading the book was Brossard’s gorgeous prose. It was sublime, lush, delightful, transcendent, luscious, intoxicating. After reading a particular passage and falling in love with it, I thought that this was it. Now Brossard will get back to business and get on with the story. And then followed another intoxicating passage. And then another. And another. It was the kind of intoxication that one gets while listening to classical music, the kind which is pleasurable but on which one never gets drunk. Nicole Brossard is also a poet and it shows in her prose. I want to read this novel again just for Brossard’s prose. As a sample, I will give below some of my favourite passages from the book. While others march gaily toward madness in order to stay alive in a sterile world, I strive for preservation. I cling to objects, their descriptions, to the memory of landscapes lying fully drawn in the folds of things around me. Every moment requires me, my gaze or sensation. I become attached to objects. I don’t readily let go of days by banishing them to the blank book of memory. Certain words ignite me. I take the time to look around. Some mornings, I yield to the full-bodied pleasure of navigating among seconds. I then lose my voice. This doesn’t bother me. I take the opportunity to lend an ear to ambient life with an eagerness I never suspected. The idea of remaining calm doesn’t displease me. Some days I make sure everything is grey, like in November, or somber, for I like storms. Some time ago, while looking for a book in the museum library, I came upon a typewriter page sticking out of a book about diamond cutting. Prompted by curiosity, I read the first lines. I read and reread. Ever since then, this page is always with me. I sometimes read it several times a day Its meaning varies, depending on whether I read it when I get up in the morning, in the afternoon when the sun floods my work table or when I get back from meeting Carla Carlson. I don’t think the page was part of a personal diary. Perhaps of a novel. Some days the meaning of the page seems obvious, on others it wavers like a conversation by the seashore where syllables are drowned out and pronouns merge with the noise of wind and surf. Today I memorized the page. Now it’s part of me and can surge into my thoughts at any time. Whole or in parts, slowly infiltrating my everyday life. When Mother died, I knew every feature of her face by heart. It’s crazy how we never look at faces when we’re speaking with people. As if, from not looking into the eyes too much or seeming not to want to insert ourselves into the other’s thoughts, we end up seeing nothing. Mother couldn’t defend herself. Her whole face was vulnerable to my worried gaze discovering the curve of her nose, of her eyebrows, eyelashes so short, wrinkles not as deep as I’d thought. Yesterday, Carla called me a passionate reader without knowing a thing about my reading habits. I think she meant I’m a passionate person and the word reader escaped her like a glass slips out of a hand. It’s true that reading is part of my life, that it brings me pleasure, but at the same time it burns me. From the inside. As if, encountering m nostalgia, it ignites an unbearable elation in me. It took me a long time to understand that human beings could find pleasure in one another. I long believed that only necessary things like work, sexuality and providing aid in times of emergency, in times of great disaster and uncontrollable fear, were at the root of all conversations. I always felt I was living in the margins of friendships, which must, they say, be cultivated and maintained with precautions infinitely more subtle than those required for love. Just like the word agony was unknown to me, friendship is, in its essence, I believe, foreign to me. This I discover while talking with Fabrice and Carla. Increasingly, Fabrice is something like a friend. He has that anxiety that often makes men worried and bony yet philosophical. Fabrice transforms his anxiety into a generous tenderness. He knows how to distinguish between true knowledge and the danger of half-baked knowledge rotting in the interstices of lucidity. What, in the end, is a life? What one has seen and told, what one avoids talking about or simply what one has invented and which has been lost over time, unbeknownst to us, very slowly just as one says a week has gone by already, the last day before your departure, three whole years of mad love, seven years of misery, a quarter of a century of war or a quarter of an hour spent waiting on a winter street corner for someone, something, that doesn’t come, that won’t come. People think a ten-year old child is unable to think or to really want. Something. At that very moment, more than anything, I wanted my mother, her rough and busy gestures, her worried look, her blue eyes which, even when she was angry, always seemed soft. Looking in her eyes was like going to the movies. I always tried to do it as long as possible. Children rarely look into parents in the eye, but I always looked at my mother right in the eye. Eventually she’d laugh and say, ‘Hurry up and look at me, we’re leaving’. When I looked at her I felt like I was honouring her and getting closer to her dreams, to her real dreams. To continue the rant from one of the earlier passages above, I just found two reviews of this book on the internet and both of them were in Canadian literary magazines (if you are interested, you can find them here and here.) There was just one review in Goodreads and the first line of it read – “I just can’t stand this book anymore.” Really? I am sad at all this. I loved Nicole Brossard’s ‘Yesterday, at the Hotel Clarendon’. The inventive structure was quite interesting and intellectually engaging, but what I loved most was Brossard’s sublime and intoxicating prose. I want to read this book again, just for that. I know that it is early days yet and we are just in March, but I have a strong suspicion that Brossard’s book will be one of my top favourites this year. 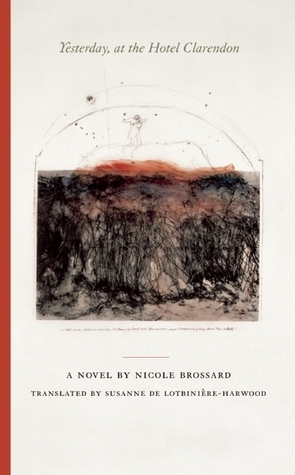 Have you read ‘Yesterday, at the Hotel Clarendon’ or other books written by Nicole Brossard? What do you think about it? ‘Simple Passion’ by Annie Ernaux was one of the books mentioned in Lance Donaldson-Evans’ ‘One Hundred Great French Books’. I haven’t heard of Annie Ernaux before and so I decided to try this book. I read it in one sitting and finished it yesterday. Here is what I think. ‘Simple Passion’, at around sixty pages, is not really a novel. With wide spacing between lines and with luxurious space on the borders of the page, it could be called, at best, a novella or probably a long short story. It is not clear from the book whether it is fiction or a memoir. The classification on the back cover says ‘Literature / Memoir’. The narrator of the book describes the affair she once had with a married man from a different country who was working in Paris. The only way they communicated was by phone when the man called her and told her he was going to visit her. She then waited for him to visit, anxiously preparing herself – getting the right clothes, wearing the right makeup, getting food and drink for the evening, preparing herself emotionally – but also looking forward to the visit with a lot of excitement. But then he comes, they have intimate moments together, he leaves and then she is worn out. And she starts the long agonizing wait for the next phone call from him. At some point she stops seeing her friends, going out for movies or having any kind of social life as she is waiting for her lover’s phone call, when she is not working (this was during the days before the advent of the mobile phone). The narrator’s thoughts about this whole affair comprise the rest of the book. As soon as he left, I would be overcome by a wave of fatigue. I wouldn’t tidy up straight away. I would sit staring at the glasses, the plates and their leftovers, the overflowing ashtray, the clothes, the lingerie strewn all over the bedroom and the hallway, the sheets spilling over on to the carpet. I would have liked to keep that mess the way it was – a mess in which every object evoked a caress or a particular moment, forming a still-life whose intensity and pain could never, for me, be captured by any painting in a museum. In his absence, I was only happy when I was out buying new dresses, earrings, stockings, and trying them on at home in front of the mirror – the ideal, quite impossible, being that he should see me each time in a different outfit. He would only glimpse my new blouse or pumps for a couple of minutes before they were discarded in some corner until he left. Of course I realized how pointless new clothes were in the event of his feeling desire for another woman. But presenting myself in clothes he had already seen seemed a mistake, a slackening in the quest for perfection for which I strove in my relationship with him. In another place the narrator talks about the imperfection of communication with her lover and how paradoxically, this imperfection is sometimes perfect. At first I was discouraged by the obvious limitations of our exchanges. These were emphasized by the fact that, although he spoke fairly good French, I could not express myself in his language. Later I realized that this situation spared me the illusion that we shared a perfect relationship, or even formed a whole. Because his French strayed slightly from standard use and because I occasionally had doubts about the meaning he gave to words, I was able to appreciate the approximate quality of our conversations. From the very beginning, and throughout the whole of our affair, I had the privilege of knowing what we all find out in the end : the man we love is a complete stranger. At this point, sitting in front of the pages covered in my indecipherable scrawlings, which only I can interpret, I can still believe this is something private, almost childish, of no consequence whatsoever – like the declarations of love and the obscene expressions I used to write on the back of my exercise books in class, or anything else one may write calmly, in all impunity, when there is no risk of it being read. Once I start typing out the text, once it appears before me in public characters, I shall be through with innocence. When I was a child, luxury was fur coats, evening dresses, and villas by the sea. Later on, I thought it meant leading the life of an intellectual. Now I feel that it is also being able to live out a passion for a man or a woman. ‘Simple Passion’ is a beautiful, slim gem. It is a book to be savoured over a winter evening warming oneself next to a fire having a drink. Or alternately, it can be savoured on a warm summer evening, watching the sun set, while sitting outdoors in the garden and sipping a delicious cup of tea. I want to read other books of Annie Ernaux now. Have you read ‘Simple Passion’ by Annie Ernaux? What do you think about it? When I read the book ‘One Hundred Great French Books’ by Lance Donaldson-Evans recently, one of the books from Donaldson-Evans’ list which intrigued me was ‘Nadja’ by André Breton. It intrigued me because of two reasons. The first reason was the story – it was about the narrator meeting a strange woman in the streets of Paris and carrying on a conversation with her everyday. The story appealed to be very much, as it reminded me of Fyodor Dostoyevsky’s ‘White Nights’ which I like very much. The second reason was the fact that this was regarded as the first Surrealist romance ever written and probably the best. I wanted to see how a Surrealist romance looked like. (I think Mansoura Ez Eldin’s ‘Maryam’s Maze’ is also surrealist, but it is probably not a romance.) So I got ‘Nadja’ a couple of weeks back and finished reading it a few days back. Here is what I think. ‘Nadja’ has three parts, each spanning around fifty pages. The first part doesn’t have a story – in it, the author, who is also the narrator, describes images of people, places and things that he encounters in early twentieth century Paris. He also describes some events. This part of the book was extremely hard to read. After I read the first two pages, I realized that I can’t read this book like a regular novel. It required lingering on sentences and meditating on words and the images they were trying to paint. Still, I read the first fourteen pages like a regular novel and then went back and read them again from the first page. Then I read the hard paragraphs again, starting from the first one. Who am I? If this once I were to rely on a proverb, then perhaps everything would amount to knowing whom I “haunt”. I must admit that this last word is misleading, tending to establish between certain things and myself relations that are stranger, more inescapable, more disturbing than I intended. Such a word means much more than it says, makes me, still alive, play a ghostly part, evidently referring to what I must have ceased to be in order to be who I am. We might establish a number of intermediate steps between such slope-facts and such cliff-facts. Between those of which I can be only the agonized witness and those others about which I flatter myself I possess the full details, there is perhaps the same distance as between one of those declarations or series of declarations which constitutes the sentence or the text known as “surrealist” and the declaration or series of declarations which, for the same observer, constitutes the sentence or the text whose every term he has fully weighed and measured. He does not consider his responsibility involved, so to speak, in the first case; it is involved in the second. On the other hand, he is infinitely, more surprised, more fascinated by what happens in the former than in the latter. He is also prouder of it, which is certainly remarkable, and feels the freer for it. This is the case with those privileged sensations I have mentioned and whose share of incommunicability is itself a source of pleasures that have no equal. The second part of the book was about how the narrator met Nadja in the streets of Paris one day and how they started meeting regularly everyday taking long walks, having conversations and sometimes sitting in a café and talking for long hours. Nadja appears to be a very unique woman. She is a free spirit, she roams the streets, she has a few friends who are all very unique and she discusses art, literature and poetry with the narrator with her own unique insights. Nadja lives in a hotel and it is not very clear how she earns her living. Once she confesses to the narrator that she tried smuggling in cocaine from Amsterdam for one of her friends but she got caught by the police. But the fact that Nadja leads an unconventional life appeals to the narrator even more. At some point, the narrator and Nadja stop meeting and then the narrator discovers that Nadja has been committed to a psychiatric ward. The narrator doesn’t believe that Nadja is mad but he believes that she is just different. This part of the book was an easy read compared to the first part, because most of the pages here were filled with conversations between the narrator and Nadja or described their meetings. The third part of the book has reproductions of paintings and sketches that Nadja has done and given to the narrator. They are all surrealistic with unconventional, powerful images. The narrator also describes these paintings and sketches and gives his own interpretations of their themes. I don’t know how to describe ‘Nadja’. I liked the first part of the book very much, though it was hard to read, because after I learnt to penetrate the meaning of those long sentences, I found it very rewarding. The second part of the book was the story part and logically this should have been the most interesting part of the book. I went into this part expecting delightful conversations like in Dostoevsky’s ‘White Nights’ and the movie ‘Before Sunrise’, but for some reason the conversations didn’t have the sparks that they had in these other works of art that I love. I think that if Dostoyevsky or Chekhov or even Somerset Maugham had written this part of the book, it would have been a roaring success. The third part of the book had a lot of pictures and their descriptions and interpretations – it was like reading a critical appreciation of someone’s work of art. The whole book is interspersed with paintings, sketches and photos of different people and places that the narrator mentions or discusses about in the book. These images are either an integral part of the book or enrich our reading of it. ‘Nadja’ is not a book for everyone. It is a challenging read and while there were parts of the book that I loved, there were parts of the book that I wasn’t sure about or which I felt could have been written better. I will however keep coming back to the first part of the book again, because I want to read all those beautiful sentences (which taxed my brain so much) again. …let no one speak to me of work – I mean the moral value of work. I am forced to accept the notion of work as a material necessity, and in this regard I strongly favor its better, that is its fairer, division. I admit that life’s grim obligations make it a necessity, but never that I should believe in its value, revere my own or that of other men. I prefer, once again, walking by night to believing myself a man who walks by daylight. There is no use being alive if one must work. The event from which each of us is entitled to expect the revelation of his own life’s meaning – that event which I may not yet have found, but on whose path I seek myself – is not earned by work. I envy (in a manner of speaking) any man who has the time to prepare something like a book and who, having reached the end, finds the means to be interested in its fate or in the fate which, after all, it creates for him. 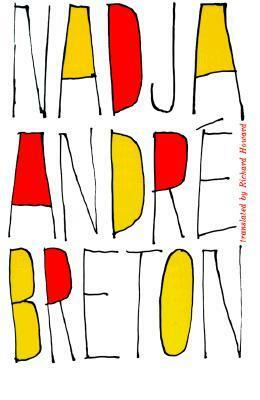 Have you read ‘Nadja’ by André Breton? What do you think about it? I have read one Kurt Vonnegut book before – it is a collection of essays called ‘A Man Without a Country’. I have wanted to read one of his novels since then and so when the book club I am a part of, decided that the book for March would be ‘Slaughterhouse-Five’, I was quite excited. I picked it up a few days back and finished reading it in a day, which rarely happens with me. Here is what I think. ‘Slaughterhouse-Five’ starts with an unnamed narrator, who looks suspiciously like the author, saying that he wants to write a book about the Dresden firebombing during the Second World War. Then this narrator starts describing what is there in this book. This book is about Billy Pilgrim who goes to Europe during the Second World War as the assistant of the chaplain of the army. But before he could do anything his whole army unit is killed and he doesn’t even have proper army clothes and shoes. He and three other soldiers get together and try to walk away from the enemy territory and try to stay out of trouble. While we are told this story, we are also told many other stories of Billy Pilgrim. Billy Pilgrim moves back and forth across time during the narration of this story – we learn about his mother and is girlfriend who he later marries, we learn the fact that he studies optometry and becomes a rich man later in life, we also learn that he is in a plane when it crashes and miraculously survives when everyone else dies. When he is recovering in a hospital once, he discovers his neighbour reading a science fiction book. 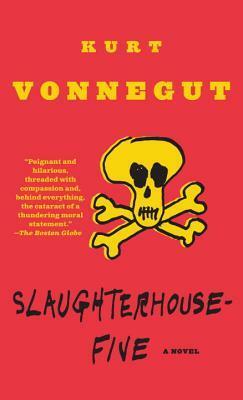 This book is written by a writer called Kilgore Trout and Billy Pilgrim get addicted to it. It looks like Trout hasn’t sold many books, but Billy Pilgrim’s hospital neighbour is a big fan of him and soon Billy becomes a big fan of him too. Interestingly, after this Billy also gets kidnapped by aliens who take him to their planet and put him inside a transparent enclosure like in a zoo and alien spectators come to watch him. Billy learns a lot of things from the aliens, like the fourth dimension is very important, a person never dies but is always alive and the death of the person is just an event in spacetime and a person keeps moving back and forth across time forever, wars and violence keep happening and are outside the control of humans (or other living beings) and the only thing one can do is enjoy the beautiful moments which happen randomly. While reading the book, at some point, I wasn’t sure whether Billy Pilgrim was actually travelling across time or whether he actually met aliens or whether he was dreaming about time travel and aliens after reading Kilgore Trout’s novels. This point is never explicitly clarified. The Dresden bombing is also not explicitly described in the book and the story skirts around it describing Billy Pilgrim’s life before and after the bombing. The book continues in this vein showing us Billy’s life at different points of time when he is travelling back and forth across time. Towards the end the narrator comes back into the story and concludes the book. I found ‘Slaughterhouse-Five’ quite interesting. Vonnegut experiments with the structure of the novel – there is the initial frame which has a narrator talking about a book that he wants to write, which makes us think that it is really the author who has jumped into the book and then there is the story of Billy Pilgrim which is a book within a book and who we suspect is also the narrator with a different name (and hence it is also the author). Billy Pilgrim’s time travel is quite interesting and Vonnegut uses this device to explore science (spacetime, fourth dimension, time travel, different views of reality) and also to comment on life, war and the human condition. One of the statistics which is given in the book is that more people died during the Dresden firebombing when compared to the bombing in Hiroshima. The book also says that the Dresden firebombing is not mentioned in any of the American history books of that time. (Is that why some people are still calling for the ban of ‘Slaughterhouse-Five’?) The narrator says at the beginning of the book that the book he is writing is an anti-war book. Though the book has anti-war sentiments, the book also says through the voice of one of the aliens that war is unavoidable and the best thing that one can do is enjoy the beautiful moments in one’s life. Two of my favourite minor characters in the story were a German doctor couple who meet Billy Pilgrim when he is sitting in a cart waiting for his army mates to come back. The horse is not doing well as Billy and his friends have treated the horse like a car and have flogged it. The doctor couple chide him for treating a horse like that and try to help the horse. There is also a blind German innkeeper who takes in American soldiers after the bombing and offers them hospitality. The way the book describes humans as warm and caring, irrespective of which side of the line they are in, in a war, is quite beautiful. Vonnegut’s trademark humour is on display throughout the book and the book is a fast-paced read. I really enjoyed reading it. One of my book club mates borrowed my copy of the book and so there are no quotes today. If you like humorous war novels where the story is told from a unique perspective with science fiction and time travel thrown in, you will love ‘Slaughterhouse-Five’. Have you read ‘Slaughterhouse-Five’? What do you think about it? I first got to know about Isaac Bashevis Singer when I saw Barbara Streisand’s movie ‘Yentl’. The credits said that the movie was based on a short story by Singer. I loved the movie and so made a mental note to explore Singer’s works later. Then a while back when I was reading a short story collection I discovered that it had Singer’s short story‘A Party in Miami Beach’ in it. I liked it so much that I decided to explore more works of Singer. I was also pleasantly surprised to know that Singer wrote all his books in Yiddish and which were originally published in a Yiddish magazine and also Singer has won all the big literary prizes including the Nobel. So I got his novel ‘Enemies : A Love Story’ and a collection of his short stories sometime back. I finished reading ‘Enemies’ today. Here is what I think. ‘Enemies’ is the story of a Jewish refugee in New York, Herman Broder, and his life and loves. Herman is originally from Poland, and during the Nazi regime, he loses his family – his wife and children are presumed to be killed by the Nazis. His maid Yadwiga hides him in her home and takes care of him everyday. After the war, he somehow manages to move out of Poland and takes Yadwiga with him. They end up in America and Herman marries Yadwiga. Yadwiga is from a peasant family and is illiterate and can’t read or write but she is an innocent woman and is a perfect wife to Herman. Though Herman is Jewish, the suffering that he has gone through and what he has seen and heard about, makes him lose his faith in religion. Till now the story is simple. Unfortunately for Herman, his life becomes complex from there. He falls in love with Masha who is another Jewish refugee in New York. She has been in concentration camps and has suffered a lot. She is still married, though she is separated from her husband. She knows that Herman is married to Yadwiga but she wants Herman to leave Yadwiga and marry her. Herman lives his life in two different bubbles – spending part of his time with his wife and part of his time with his lover. Then one day Herman’s life becomes even more complicated. His original wife, Tamara, who is presumed to be dead, turns up in New York and contacts him. Now Herman doesn’t know what to do – he has already complicated his life and now his past comes back and haunts him. Having two wives and a lover leads to a lot of tricky and funny situations and what happens to Herman and whether he is able to come out of it in one piece form the rest of the story. I liked ‘Enemies : A Love Story’. It captures a Jewish immigrant’s life perfectly – especially the life of someone who wants to get away from the past but whose past keeps coming back and haunts him. The novel reads like one which was serialized in a magazine – which it actually was – the kind of novel which has many interesting scenes, twists and turns, many dialogues, where the prose is simple but the thoughts and ideas are insightful. One of the things I liked very much in Singer’s short story ‘A Party in Miami Beach’ was the way it portrays the Jewish community to be as flawed, as imperfect and as beautiful as the rest of humanity. He does the same thing in ‘Enemies’ too, though after a while it does a little bit repetitive. While reading the book sometimes I laughed, sometimes I got angry and at other times I got frustrated while watching Herman hurtle from one disaster to another in a bumbling way. Whenever the story reached a stage where he could make a new beginning and start life afresh, he always took the disastrous option. It was so frustrating to watch. The three women characters – Yadwiga, Masha and Tamara were well fleshed out and were very different from each other. My favourite out of the three was Yadwiga but later I developed a soft corner for Tamara as well. For some reason I didn’t really like Masha as much, though that was not her fault. There is an understated humour throughout the book and when Herman gets into one more tangle, we can’t help laughing. I think that is one of the triumphs of the story. ‘Enemies’ is an interesting read. It will make you laugh and cry and feel frustrated at the same time. 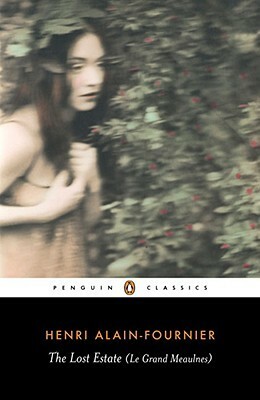 I will look forward to reading another of Singer’s books soon. None of the old philosophers and thinkers could have foreseen an epoch such as this one : the helter-skelter epoch. Work in haste, eat in haste, speak in haste, even die in haste. Perhaps rushing was one of God’s attributes. Judging by the swiftness of electromagnetic flow and the momentum with which the galaxies moved outward from the center of the universe, one might conclude that God is impatient….Molecules, atoms, and electrons move with mad speed. Time itself is pressed for time in which to carry out the tasks it has taken upon itself in endless space, in infinite dimensions. Flies, bees, and butterflies flew in through the open window. The flies and bees settled on some spilled sugar. A butterfly hovered over a slice of bread. It didn’t eat, but seemed to savor the odor. To Herman these were not parasites to be driven away; he saw in each of these creatures the manifestations of the eternal will to live, experience, comprehend. As the fly’s antennae stretched out toward the food, it rubbed its hind legs together. The wings of the butterfly reminded Herman of a prayer shawl. The bee hummed and buzzed and flew out again. A small ant crawled about. It had survived the cold night and was creeping across the table – but where to? It paused at a crumb, then continued on, zigzagging back and forth. It had separated itself from the anthill and now had to make out on its own. A rock was sticking out of the water, jagged and pointed, covered with moss – a remnant of the Ice Age and of the glacier that had once gouged out this basin in the earth. It had withstood the rains, the snows, the frost, the heat. It was afraid of no one. It did not need redemption, it had already been redeemed. The outdoors was occupied with its early morning tasks. The rising sun had executed a childish painting on the night sky – spots, smears, a mess of colors. Dew had settled on the grass and a milky-white mist hung over the lake. Three young birds perched on the branch of a tree near the bungalow, kept their soft beaks wide open while the mother bird fed them little bits of stems and worms from her beak. She flew back and forth, with the single-minded diligence of those who know their duties. The sun rose behind the lake. Flames ignited the water. A pine cone fell, ready to fructify the earth, to bring forth a new pine. In Herman’s private philosophy, survival itself was based on guile. From microbe to man, life prevailed generation to generation by sneaking past the jealous powers of destruction. Just like the Tzivkever smugglers in World War I, who stuffed their boots and blouses with tobacco, secreted all manner of contraband about their bodies, and stole across borders, breaking laws and bribing officials – so did every bit of protoplasm, or conglomerate of protoplasm furtively traffic its way from epoch to epoch. It had been so when the first bacteria appeared in the slime at the ocean’s edge and would be so when the sun became a cinder and the last living creature on earth froze to death, or perished in whichever way the final biological drama dictated. Animals had accepted the precariousness of existence and the necessity for flight and stealth; only man sought certainty and instead succeeded in accomplishing his own downfall. The Jew had always managed to smuggle his way in through crime and madness. He had stolen into Canaan and into Egypt. Abraham had pretended that Sarah was his sister. The whole two thousand years of exile, beginning with Alexandria, Babylon, and Rome and ending in the ghettos of Warsaw, Lodz, and Vilna had been one great act of smuggling. The Bible, the Talmud, and the Commentaries instruct the Jew in one strategy : flee from evil, hide from danger, avoid showdowns, give the angry powers of the universe as wide a berth as possible. The Jew never looked askance at the deserter who crept into a cellar or attic while armies clashed in the streets outside. The tree outside, which all winter long had stood blanketed with snow, was again adorned with glossy leaves. Herman looked at it in wonder. Each winter Herman had been convinced that the tree, which stood amid garbage and tin cans, had finally shriveled and died. The wind would snap off some of its branches. Stray dogs urinated on its trunk, which seemed to grow thinner and more gnarled with time. Neighborhood children carved their initials, hearts, and even obscenities into its bark. But when summer came, it was covered with foliage. Birds chirped in the thick growth. The tree had carried out its mission, never worrying that a saw, ax, or even one of the burning cigarette butts that Masha habitually threw out of the window might end its existence. 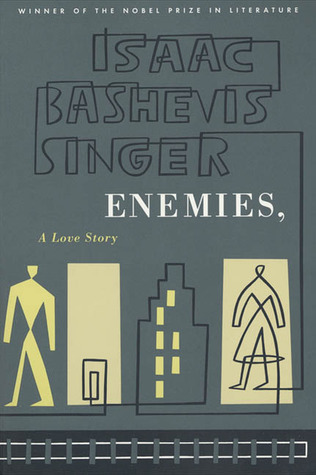 Have you read ‘Enemies’ by Isaac Bashevis Singer? What do you think about it? I got to know about ‘The Lost Estate’ (‘Le Grande Meaulnes’ in French) by Alain-Fournier after Caroline from ‘Beauty is a Sleeping Cat’ recommended it. As the only novel of a writer who died young and as a novel which is known to deeply resonate with readers, it had a lot of romance attached to it. I couldn’t resist reading it. I finished reading it yesterday and here is what I think. ‘The Lost Estate’ is about two friends Francois Seurel and Augustin Meaulnes (the ‘Le Grand Meaulnes’ of the title). Seurel is the narrator of the story, but most of the story is about Meaulnes. Seurel’s father is the headmaster of the school in the village where Seurel also studies. One day a tall boy comes to stay in Seurel’s home and also joins him in school. This boy is Meaulnes. From the day he joins school, he becomes the most popular boy and leader at school resulting to a few other boys getting jealous of him. Then one day Meaulnes takes the cart with the horse to pick up Seurel’s grandparents from the station, but disappears. When he comes back after three days, his clothes are dirty but he is quiet and doesn’t tell anyone what happened. Slowly, after a while he tells his friend Seurel where he had been and what happened. 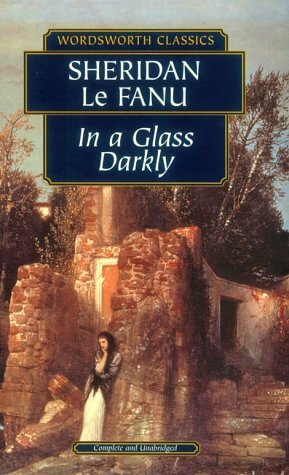 When Meaulnes goes to pick up Seurel’s grandparents, he loses his way and ends up in an old château, where the celebrations for a wedding are in progress. He meets a beautiful girl there, with whom he falls in love at first sight. He later discovers that she is the groom’s sister. While the celebrations are on, people are waiting for the bride and the groom to arrive. When finally the groom comes he says that the wedding is off. Everyone leaves the château and it is empty like nothing ever happened there during the past three days. Meaulnes is dropped near his school by one of the locals. He keeps thinking about the beautiful girl everyday and wants to find the château once again and go back and meet her. But he doesn’t know the way. The rest of the story is about whether he is able to find his way back to the lost castle and win his beloved’s love. I don’t know how to describe ‘The Lost Estate’. It is a story of the loss of adolescence (when we read the narrator’s line ‘inside that old carriage my adolescence had vanished for evermore’ a deep pain seeps into our heart), of how the dreams of adolescence, even if they are realized at a later time, look different in new light. It is a story which will resonate with most of us – about a dream place, sometimes real sometimes imaginary, which if we are lucky, we might discover when we are adolescents, a place where we are able to spend only a few fleeting moments or days, but moments which are joyful, idyllic, blissful, exhilarating and happy and which change our lives forever, a place which we spend the rest of our lives trying to find again. It is a beautiful, sad, poignant and haunting story. The ending is bittersweet – part tragic and part happy, but mostly tragic. Alain-Fournier’s prose is lush, luscious, delightful, beautiful. It is the perfect companion to the haunting story. But if the novel’s incidents are improbable, its images are unforgettable. Hard to enter, it is still harder to abandon. Once read, Le Grand Meaulnes is forever after seen. Seen rather than remembered. I have noticed that most French readers who are devoted to the book hardly notice or recall, or even brood much on, the somewhat improbable entanglements of the second part of the book…The force of the imagery…is…so strong that it blissfully erases the apparent point of the story. The translator’s note by Robin Buss was beautifully written too and addressed the challenges of translating a fascinating work, starting from the title – a work which is supposedly untranslatable. I also discovered some interesting facts through the story – that French schools had holidays on Thursdays (instead of Saturdays) during the 19th century and an acrobat called Jules Léotard gave his name to the garment. I was also surprised at the use of the word ‘speechifying’ in the story – I had always thought that this was an ‘Indian English’ construct. I loved reading ‘The Lost Estate’. If you like reading poignant stories with beautiful prose, you will love it. …in the old days, my mother would get worried and come out to tell me, ‘It’s time to come indoors’; but she would take a liking to this walk through the rain and the night, and just say gently, ‘You’ll catch cold!’ then stay with me, talking for a long time. This evening, which I have tried to spirit away, is a strange burden to me. While time moves on, while the day will soon end and I already wish is gone, there are men who have entrusted all their hopes to it, all their love and their last efforts. There are dying men or others who are waiting for a debt to come due, who wish that tomorrow would never come. There are others for whom the day will break like a pang of remorse; and others who are tired, for whom the night will never be long enough to give them the rest that they need. And I – who have lost my day – what right do I have to wish that tomorrow comes? Have you read ‘The Lost Estate’ (‘Le Grand Meaulnes’) by Alain-Fournier? What do you think about it?